The Sakura Teritama Burger also affectionately known as the “Cherry Blossom Burger” is just about to hit McDonald’s Japan stores across the country. Spring in Japan is the time for the beautiful Sakura or Cherry Blossoms, which usually start to bloom in late March in Central Japan. 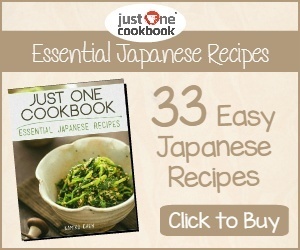 This time of the year also sees lots of spring or cherry blossom inspired food and drinks in Japan. One of my favorites so far has been the tasty Sakura Cherry Blossom Ice Cream from Haagen Dazs. To fit in with the season, McDonald’s Japan will release a spring inspired burger complete with sakura pink-colored buns and a sakura mayonnaise sauce. The new burger is called the “Sakura Teritama Burger” and takes its cue from the popular seasonal burger in Japan, the “Teritama”, which is short for Teriyaki Tamago. The new burger which is a cherry blossom version features a fried egg, ginger teriyaki pork patty, lettuce and sakura daikon radish mayonnaise sauce, all inside pink buns! The Sakura Teritama Burger will go on sale across Japan on March 21 and will be available for a limited time of only three days. The regular Teritama Burger is currently on the menu and will be available until mid-April. 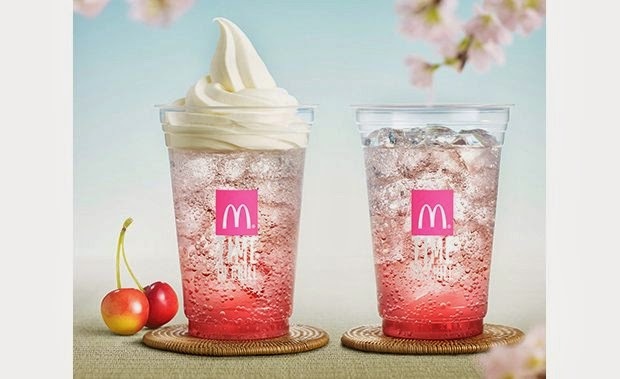 McDonald’s Japan is also selling a Sakura Cherry Float and has decorated their stores with cherry blossoms. Get a little taste of spring now at your local McDonald’s in Japan. That burger looks delicious, but I probably wouldn't want to try the drink.